"At the State Fair of Texas this month, Ford Motor Co. is displaying its most expensive pickup yet: The F-Series Super Duty Limited, a luxury heavy-duty truck with a starting price of $80,835." 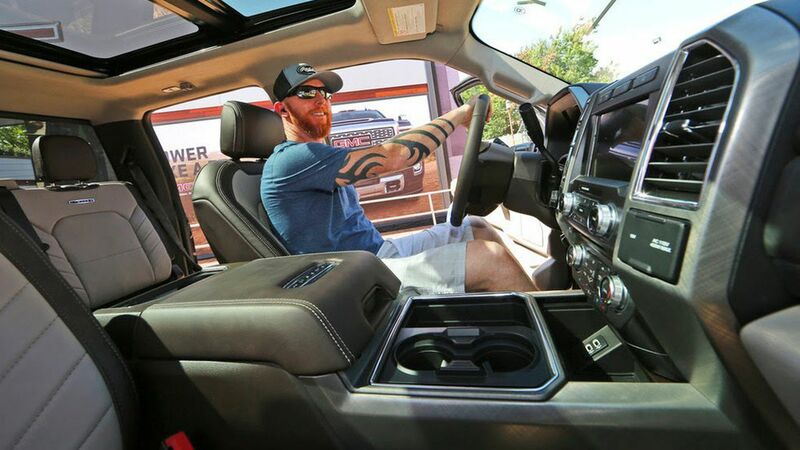 "It has custom two-tone leather seats, a heated steering wheel wrapped in hand-stitched leather and high-tech features like a 360-degree camera system that guides drivers when they're hitching up a trailer." "A fully-loaded F-450 — the biggest version of the Super Duty — will top out at $94,455. It's capable of towing an Air Force F-35 fighter plane, but it also has massaging seats." "The average vehicle is selling for $34,671, up 38 percent from 2005. The average price of a full-size truck has jumped 54 percent in that same period, to $46,844."